The other interesting detail about this rum is that it is produced at the Mount Gay Rum Refinery in St. Lucy, though it should be made clear that Mount Gilboa is an independent product and the operation is currently ran by Frank Ward. Frank is a descendant of Aubrey Ward, who originally acquired the estate that has been in the Ward family since the early 20th century. 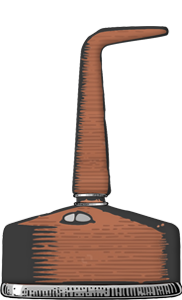 The refinery's copper and column stills produce all the rum for Mount Gay's portfolio, however for the production of Mount Gilboa only the copper pot stills are used for the triple distillation process as mentioned above. The process begins with the distillation of fermented molasses that is further distilled a second and a third time with the final distillation being above 80% abv. The distillate is then diluted and set to rest in 190 litre once-used American oak casks for 4 years, no more, no less, according to Frank Ward. One specific detail about the production of Mount Gilboa that I truly appreciate is that there is no caramel colour or any other additives used to alter the final product and the only step before bottling is the chill filtration. 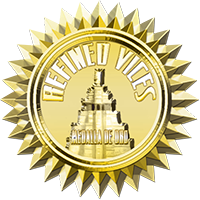 This is pure unadulterated rum, unafraid to show its true colours and indeed the label carries the Authentic Caribbean Rum seal. (Find out more about ACP and WIRSPA on their website). It is also worth noting that Mount Gilboa is a single batch rum (not to be confused with single cask rum) meaning each released batch will more or less vary from one another so what you get now might not be exactly the same later. The bottle itself is an elegant piece of work with slightly curved features and a simple label with a picture of a pot still carrying the name 'Ward' on it. The cork is covered with an attractive golden tin seal adding to the attractive yet understated presentation. The colour appears a pale amber with light gold highlights, with a very few thin droplets or bars forming on the sides of the glass. The first thing I notice on the nose is the incredibly heavy and powerful pot still aroma that literally wafts out of the glass and around the room and is almost thick enough to cut with scissors! There is an earthy note, burnt caramel, toffee and sweet almonds and deep beneath the layers very interesting tropical fruit notes and prunes. There are also baked bananas, vanilla and floral notes. What an incredible nose! Very first notes are round flavours of toffee followed by prunes and vibrant spiciness, giving you hints of the rum's age. The flavours build up on the tongue releasing floral and earthy notes all around the palate. The taste is somewhat lighter than the nose would have you assume, but not in a bad way. There is a good bite on the way down with almonds, floral notes and fruit. It's very big on toffee and coffee with a long lasting finish of creamy goodness, tobacco, marzipan and brown sugar. This is one of the most impressive young rums I've tasted and it certainly doesn't taste quite as young as it is. I actually did a blind tasting with Mount Gilboa at a retail store and a bar with well seasoned tasters and the age was guessed to be around 12 years old. Mount Gilboa have also recently released a triple distilled white rum, it was available to taste at the 2012 RumFest in London and is only available in the USA and Barbados due to it being an extremely small batch rum. Buy this rum from Master of Malt. What does Legacy Award mean? It simply means this review was published before the website was updated and before the adoption of the new rating system. This review has now been converted to the new rating system. 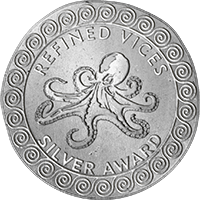 Under the original three award scoring system this rum received a Gold Award. Read more about the new rating system.